Real make overs on hairdressers. 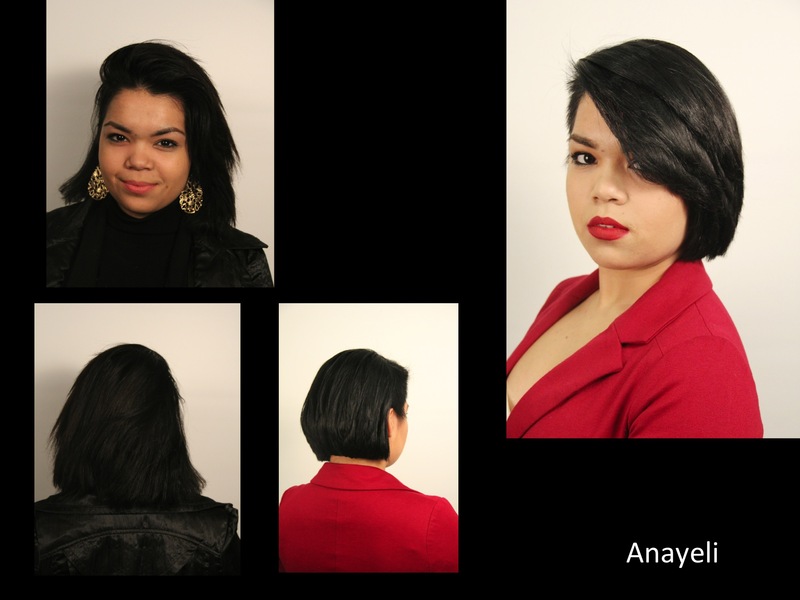 Hi there my friends, there is nothing like a great make over, especially when it is on fellow hairdressers. 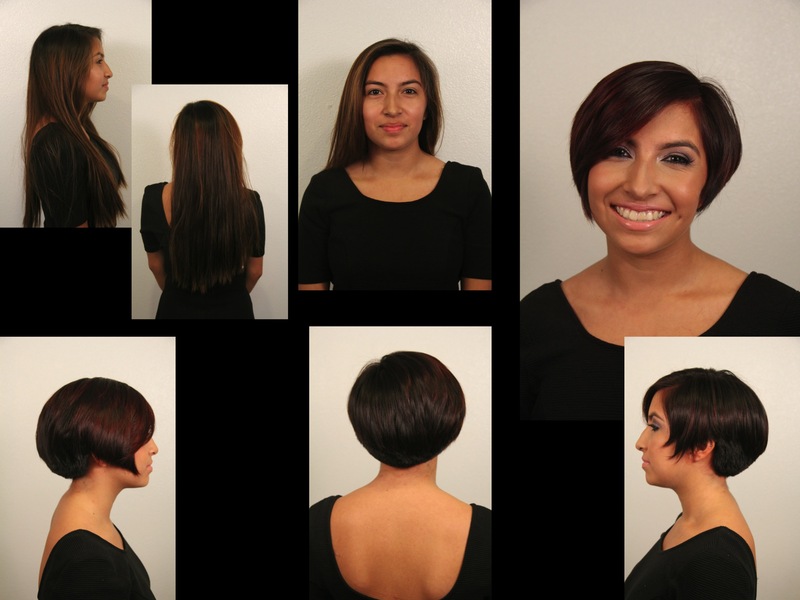 I hope you enjoy the following transformations on these beautiful young ladies from Paul Mitchell the school in Modesto. Thank you. PS i will be doing some Tips and Tricks tutorials on these designs and take you inside the artist mind, the “How and Why”. 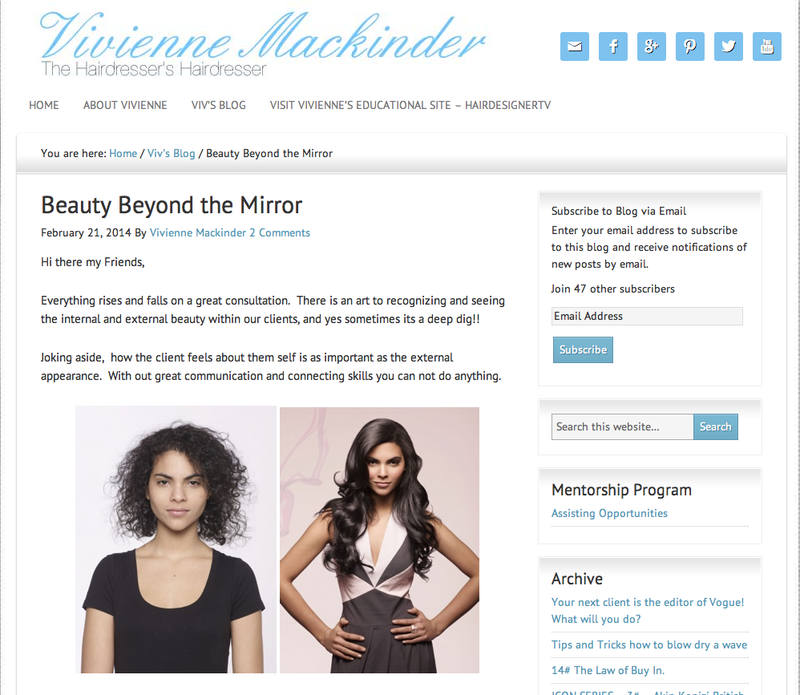 also check out the consultation that I use to capture the individual beauty and personality of each lovely lady. 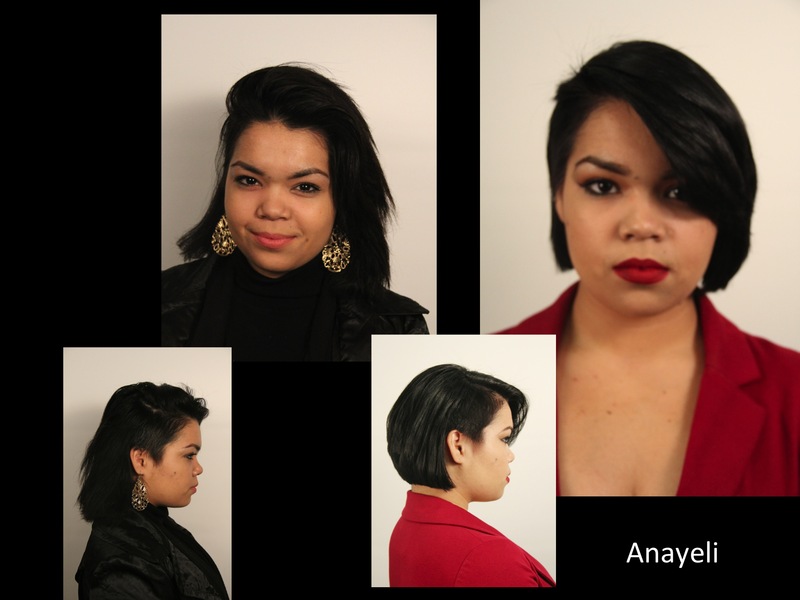 From long to short on Brenna. Classic Graduation. 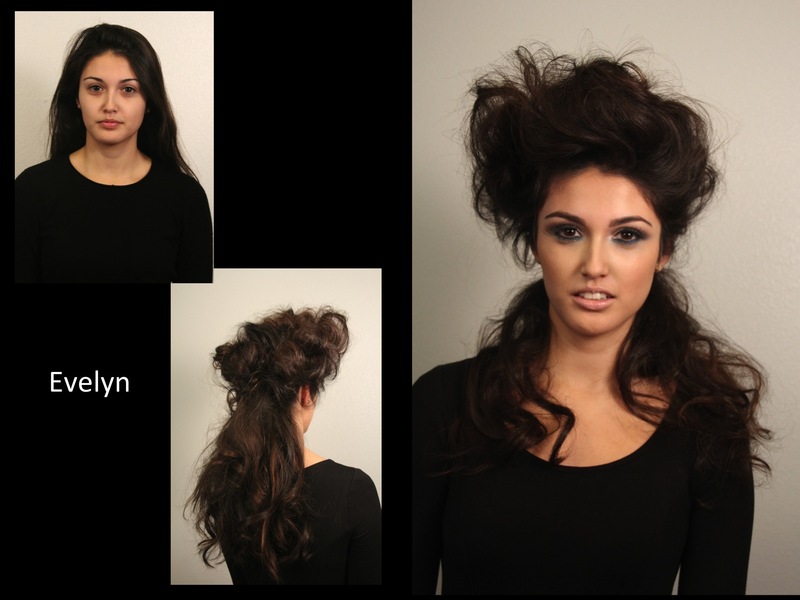 Evelyn – a messy bouffant with hair sewing to give texture. Alicea. wanted an edgy Faux hawk. This style is razor cut in a choppy manner through sides and back. The top layers are longer and disconnected. Allowing for numerous styling options. 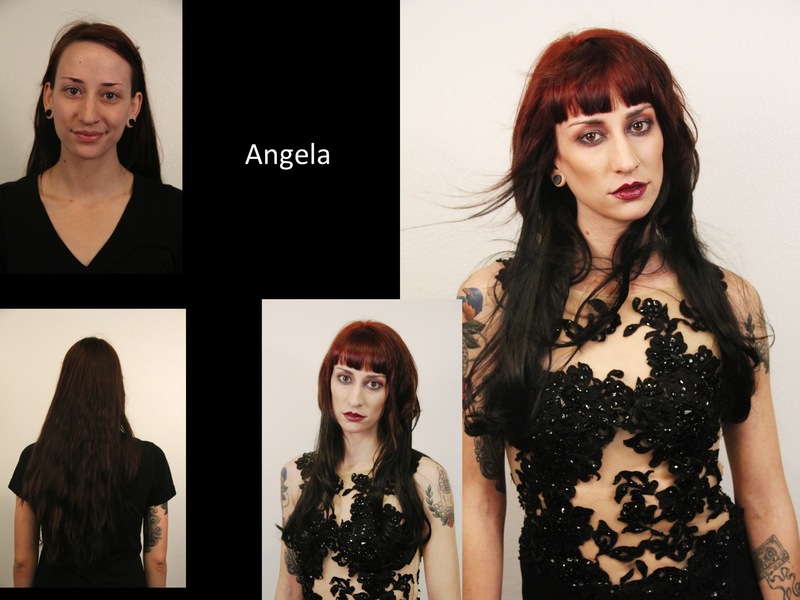 Angela – wanted a rock and roll look with glamour. 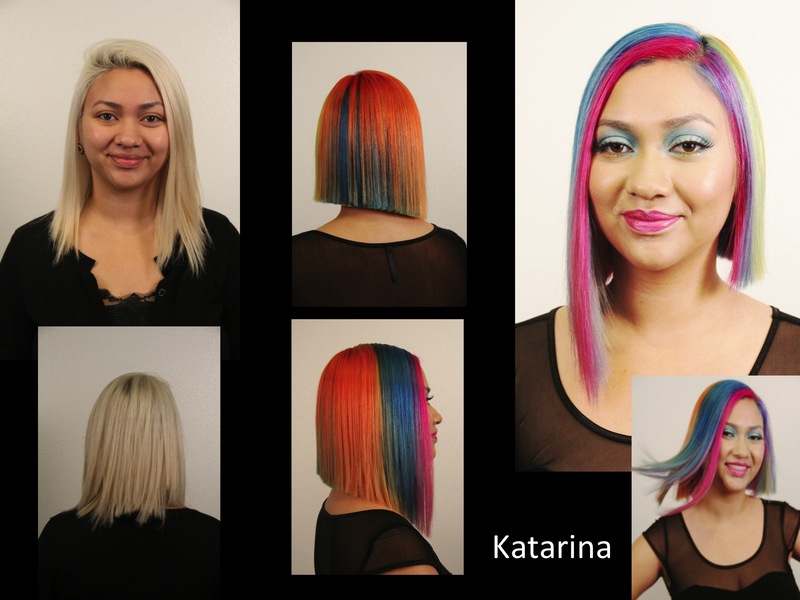 The top section was disconnected from the length and layered with soft facial framing. 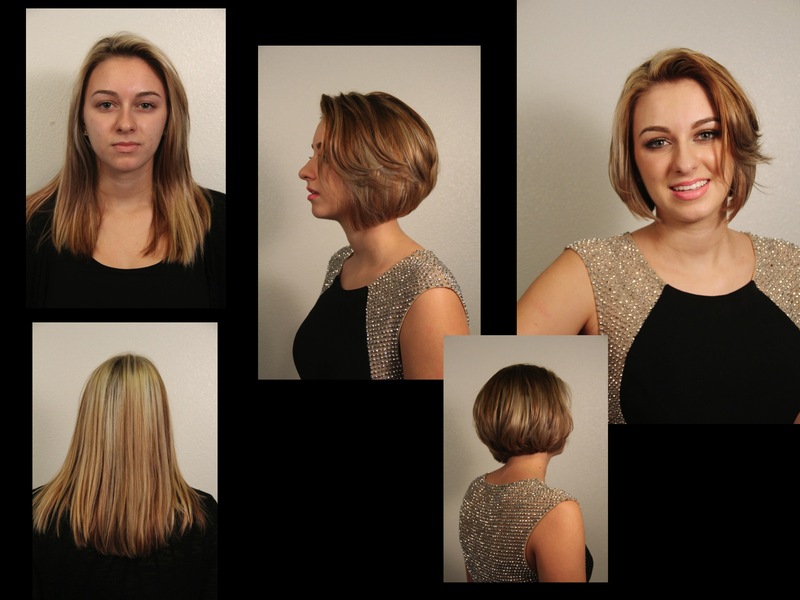 Lauren created a two tone effect with depth and richness.